- Enhanced Super Dynamic and ABS (Adaptive Black Stretch) technologies deliver 133 dB wider dynamic range compared to conventional cameras. 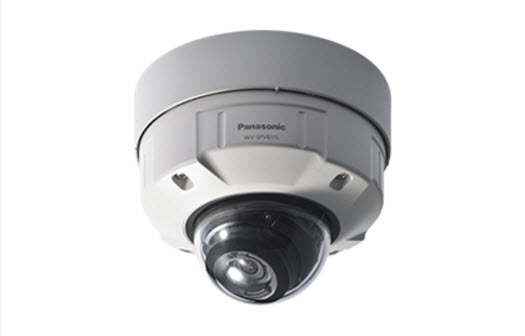 - IR LED equipped: The equipped infrared LED makes it possible to take pictures at zero lx. - IR LED is controlled to match the environment, thereby the camera provides clear images of human faces without white blur. - ABF (Auto Back Focus) and Motorized Zoom ensures easy installation. - Newly developed lens with aperture control function realizes the best focus in any environment. - Face Super Dynamic Range technology ensures clear face image. - Double SDXC/SDHC/SD Memory card slots for manual recording (H.264 / JPEG), alarm recording (H.264 / JPEG) and backup upon network failure (H.264 / JPEG). Realize long-term recording and auto backup function. - IP66 rated water and dust resistant. Compatible with IEC60529 measurement standard,Type 4X(UL50), NEMA 4X compliant.